Nothing Beets the Cranberries for a super nutritious snack for your best friend. Cranberries are rich in vitamins including A, B1, B2, C, and many nutrients. They are full of minerals and antioxidants. Cranberries are an excellent supplement to your dog’s diet for the promotion of urinary tract health just as they are good for the owner as well. Red Beets are a nutritional powerhouse and can provide the same great health benefits to dogs than to humans. Red Beets can help relieve your dogs skin allergies, promotes healthy weight and efficient metabolism, provides inflammation relief, strengthen his immune system and provide powerful antioxidant support. You will receive a 1 lb. resealable bag of Beet the Cranberry bone shaped treats. The treats are approximately 3" long. 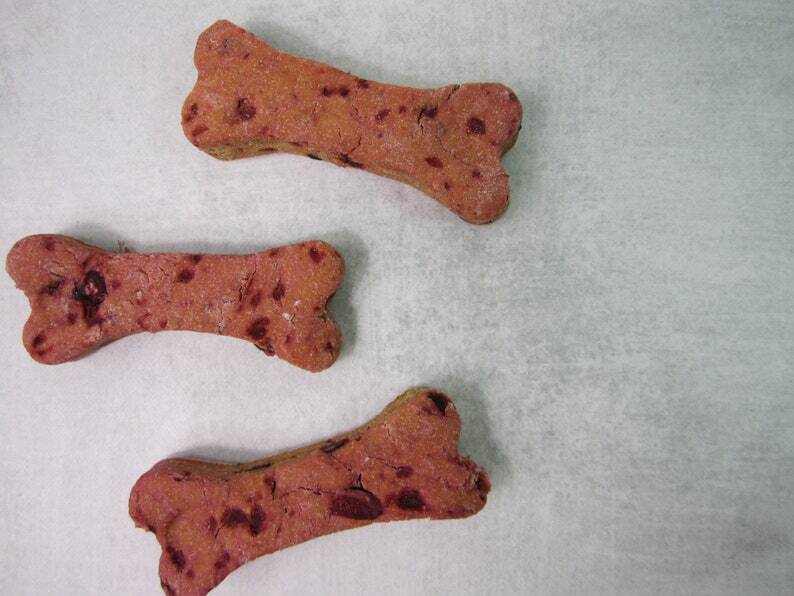 The Cranberry Beet treats are Wheat Free!